OASIS ON ROUTE TO AND FROM ALASKA! Easy on and off AB-Hwy 43. A wonderful place to stop for a night or a month! Full hookups, huge beautiful sites, peaceful, friendly, quiet surroundings. Free Wi-Fi! Try us! We promise you'll be back! 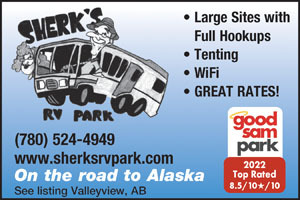 Great campground, friendly customer service...the free goody bag was icing on the cake!! Highly recommend!! 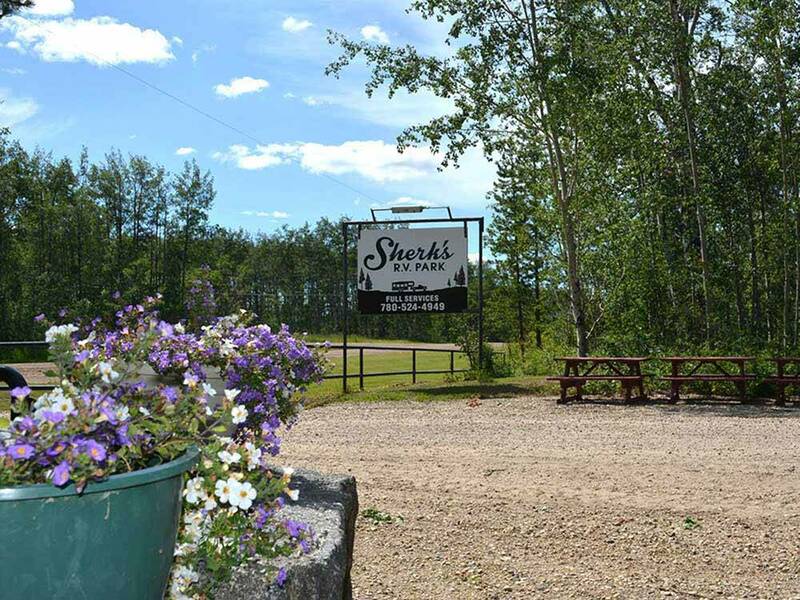 During this August long week-end we had the absolute pleasure of staying at this first class RV Park. From the minute we pulled up to the time we left we were wowed by the comforts, hospitality and the sheer fore-thought put into this park. The park attendant started the experience with a warm and approachable greeting. The first impression of the park upon arrival is the first of many wow factors with the beautiful arrangement of fresh flowers aligning the entrance. The RV pads are overly spacious with ample room for large and small RVs. They were groomed everyday along with the main road. The trails that they groomed for hiking or simply walking your pet were in extremely good condition. Overall our experience was second to none and we highly recommend Good Sam clients and travelers to take a stay and enjoy the experience they have worked so hard to deliver. Great park,spend two nights. Very friendly owners and staff. Place is clean as can be,owners put a lot of effort in keeping that way. Big pull through sites,full service,with 30 amp electric . Bathrooms to clean! Enjoy!